The Writers Alley: Friday Five with PEPPER BASHAM! Friday Five with PEPPER BASHAM! Hi, friends! I'm up for the Friday five today, and I got to thinking-- who would be better to interview with these fun questions that our very own and dearly beloved Pepper? I hope you get to know a little bit more about this extraordinary woman through my short interview with her, and be sure to comment to let her know how much you love her too! So without further adieu, here's Pepper! 1. What’s your favorite recipe to make? 2. What are your hopes for 2017? 3) What led you to want to start the Alley? Well, I saw what a blast the lovely Seekers had together in their fantastic community of Seekerville, so I hoped to build a similar community except for newbies like I was at the time. It's been such a wonderful experience and making these Alleycat friends has gotten me through so many struggles both personally and professionally, as well as just been a sweet fellowship. I love being able to offer something to new writers out of the overflow of what we've cultivated here at The Alley. 4) What has surprised you most about publishing? 5) Tell us a little bit about your new projects! I have 3 projects I'm super excited to share!! 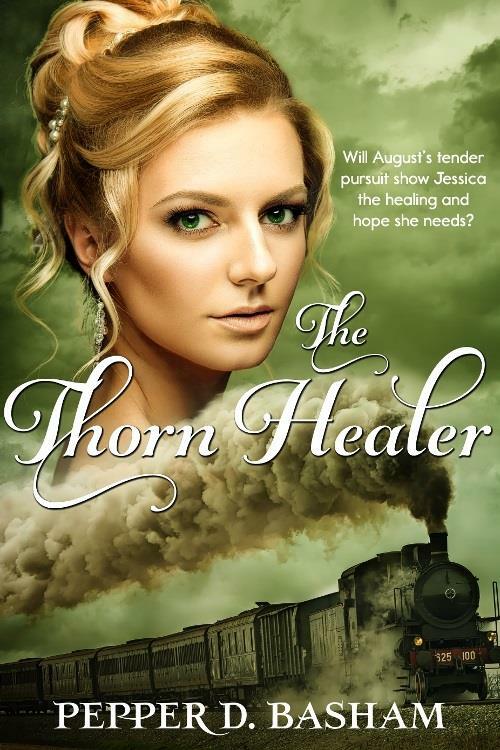 As many of you know, my historical romance, The Thorn Healer, released last month. 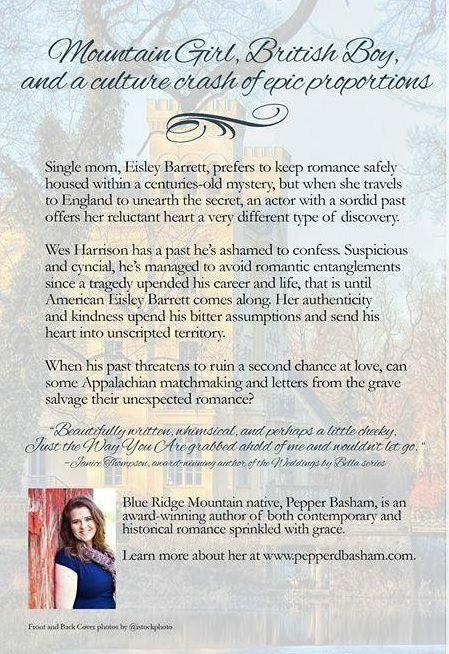 This story is dear to my heart because of its location (Blue Ridge Mountains of NC), its swoony hero, and the incredible true events related to a WW1 German internment camp hidden away in the mountains. RT made it a Top Pick AND gave it 4 1/2 stars. It's the third in a series but can totally be read as a stand-alone. Upcoming, I have some fun fun surprises in store! In March, my first novella will arrive in a compilation with some amazing romcom authors. So if you like to laugh, get ready, because Second Impressions arrives in March and then....oh boy THEN...my FAVORITE novel comes out in April- Just the Way You Are. It's a Rom Com of Brittalachian proportions. Can you tell I'm a little excited about this? Pepper, thanks so much for taking the time to answer these fun questions about you and your writing! I hope our readers learned more about you. And let me just say, I read half of Just the Way You Are, and I LOVED it too! Can't wait for it to release! Great interview, ladies. Pepper, thank you for being so raw and honest about the reality of publishing. <3 And oh this line- When I'm walking in His calling for my life 'success' has a very different definition- and that's where my heart needs to dwell...- Loved it!! Yay!! Great interview, and The Thorn Healer is FABULOUS! !Love Pepper!! I'm fairly new to the Alley, but I'll make sure to drop by more often! Wonderful interview! I loved reading your honest and openness about the world of publishing. The Dark Knight Chocolate Torte sounds AMAZING! I need your recipe!! Pepper, chocolate keeps so well, doesn't it? I made the realization that I've been eating buckeye cookies from the fridge that were made almost a month ago. They're still good! And they're perfect as the sweets disappear from the holidays. what a great interview! I love Peppers answer to the question of success. I have to remind myself as well I am not waiting for me, but rather I am using the talent that God gave me for his Glory. Pepper, you said it perfectly. I lpve your work and an so excited for your new stories! Pepper, you are so sweet and honest! I think this is the greatest book description I've ever read, or will ever read: "It's a Rom Com of Brittalachian proportions." All good wishes for the inimitable Pepper Basham! Loved reading this interview! I am really looking forward to reading your new books. Is the novella collection self-published or with a traditional publisher? Thank you, PEPPER, it's always nice to meet the person behind the byline. Dark chocolate is The Best, although I'm not a purist, any chocolate is better than the alternative. I appreciate your insight into the publishing world; achieving our dreams doesn't mean we don't have other challenges, which is the biggest thing I take away from this site and Seekerville. I am looking forward to reading your book, I love anything dealing with World War II. Pepper, I so enjoyed reading your words here. God has gifted you as a writer and an encourager. I love the premise of Thorn Healer. I'm looking forward to reading it! And your Dark Knight recipe....do you ever share recipes? That sounds divine!